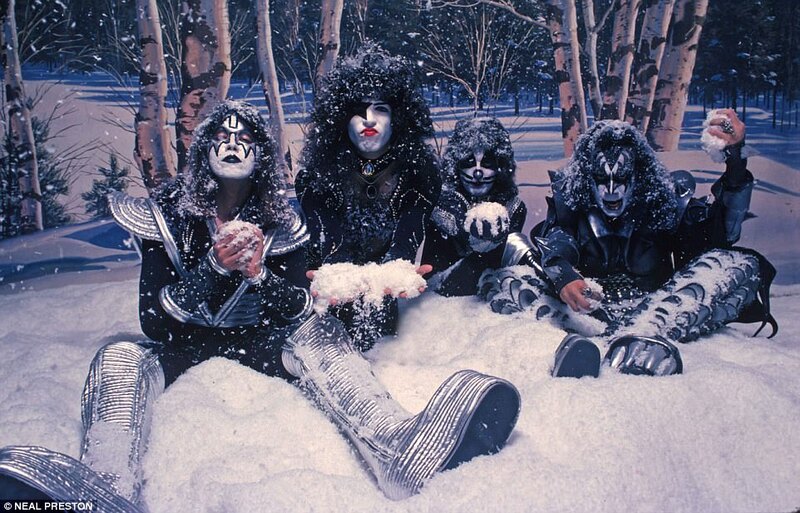 It — along with another snap of Frehley face-down in fake snow with his six-inch wedges pointing at the camera — are among dozens of pictures included in Preston’s new book, Exhilarated and Exhausted, documenting his lifelong career as a rock photographer including his years as the tour photographer for Led Zeppelin. "I’ve been beyond blessed," Preston, 65, told DailyMail.com in an exclusive interview in his office right under the flight path of the Bob Hope Airport in Burbank, California. "I had the opportunity to do what I love. If you’re a musician, what you love is making music. I’m a photographer, I love making pictures. Anyone who is able to do what they love for a living is lucky beyond belief."